"We'll love and miss you forever, but your light will shine on in us"
After a short, hard-fought battle with cancer, Jim passed away with his family by his side. Missing him forever are his loving wife of 46 years, Carol (née Willing), sons David (Erika) and Eric, grandchildren Declan and Evangelina, his mother Kathleen, sisters Donna Lotz, Marlene (Bill Cutler), Jean (Jim Costelec), Shirley (Joe Baumgartner), Susan (Paul Cameron) and Karen (Dave McKelvey), as well as the Willing family, many nieces, nephews, and friends. He was predeceased by his father Elmer, sister Cathy and four brothers-in-law. Born in Guelph, Jim grew up in Maryhill and Kitchener, the lucky brother of seven sisters. 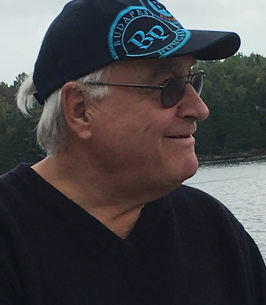 He followed his father Elmer into the world of building and construction, earning his Civil Engineering degree from the University of Waterloo in 1972. Jim married Carol in 1972, and made his home and career in Brantford. Starting out at Schultz Construction he later became a partner at Taylor Construction. After assuming full ownership of Taylor, he evolved the company into STM Construction in 1999. As an engineer, architect and general contractor, Jim helped shape southern Ontario with the design and construction of countless buildings from the 1970s through today. ‘Retiring’ in 2006 but keen to keep busy, Jim and Carol relocated to Paris in 2009 where he spent time renovating both Carol’s store, The River Lily, and their Victorian home. His love of building permeated his personal life as well; Jim always had a project on the go, and was quick to offer his time and expertise to anyone who asked, no job too big or small. 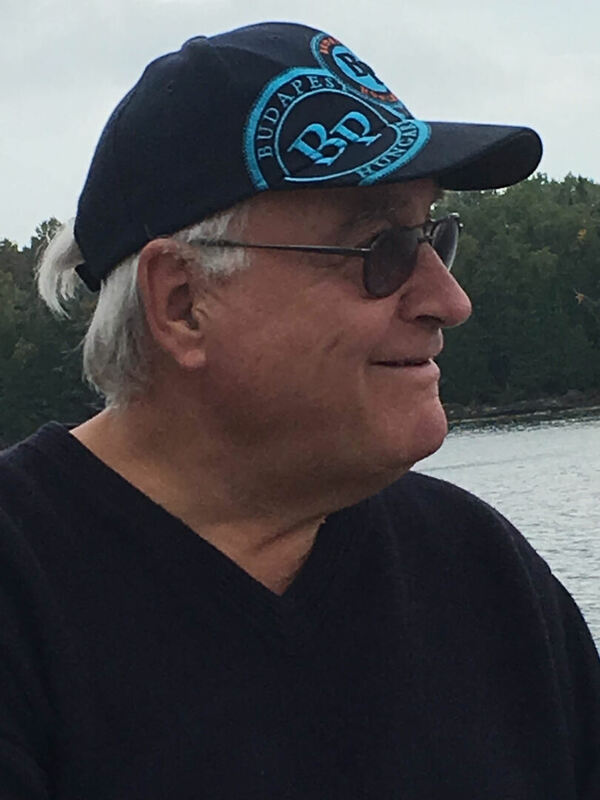 An avid boater since 1980, Jim loved to spend time on the waters of Lake Erie and at his cottage in Long Point, where he spent his final days surrounded by his loving family. He and Carol were proud parents who loved to watch their sons play rugby and spend time with them at the cottage. Jim’s delight in being a grandpa to Declan and Evita was evident to all who saw them together. Family and friends will be received at the TOLL FUNERAL HOME, 55 Charing Cross Street, Brantford on Wednesday, September 12, 2018 from 2-4 and 7-9 pm. A Celebration of Life will be held in the chapel on Thursday, September 13 at 11 am. Donations to Juravinski Cancer Centre or Habitat for Humanity in lieu of flowers would be appreciated. So sorry to hear of Jims' passing. We were neighbors for many years. Our condolences to you Carol & the boys. Keeping memories of Jim alive through continuous building. Jim, saw us through 3 builds; we couldn't have done it without him. Carol, Bill and I were so sorry to hear of Jim’s death and just want you to know that we are thinking of you. Our heart-felt condolences on your loss. Carol we will keep you and your family in our prayers. Lots of love and hugs at this time.